Welcome to Amber's wellbeing blog. Unearthing new health and beauty finds, discussing yoga and mindfulness, great healthy recipes and much more! 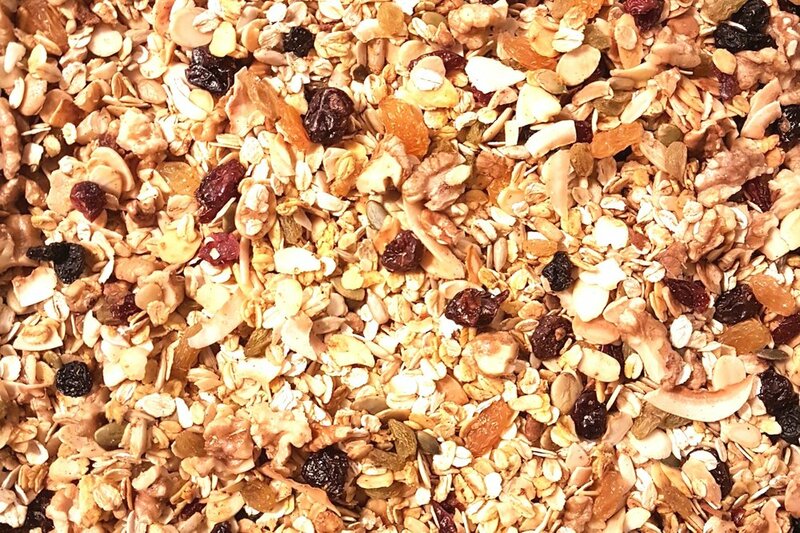 I have promised the recipe for my granola, which I have been gifting in my recent nutrition workshops, better late than never! I don’t give exact ingredient amounts because I would suggest you tweak the recipe to the amount of granola you want, the kilner jar you store it in and baking tray sizes you have at home. Warm a teaspoon of coconut oil (small baking tray) or tablespoon (large baking tray) in the oven at 180 or 150 fan. After a few minutes cover the tray in a fine layer of oats, followed by a light layer of ground ginger and cinnamon. Add a layer of mixed pumpkin and sunflower seeds followed by a drizzle of maple syrup and top with a layer of flaked almonds. Next add a teaspoon of vanilla paste, juice and zest of orange. Bake for 10 mins, take out and thoroughly mix. Continue to bake for 30 mins taking out every five minutes to mix, adding extra maple, cinnamon and ginger to taste. You will notice the orange cooks off and the ingredients become dry and perfectly crunchy, lightly browned with no burnt bits. It is now perfect! Take out and completely cool before adding your choice of dried fruit. In the Winter I love cranberries and golden raisins for their festive colours. Add to kilner jars and enjoy with almond milk and fruits, with natural yoghurt or as a yummy porridge topping.